Are mojitos your favorite summer drink? You’ll be happy to learn they can be super healthy! You can even begin your day with a tall glass of this drink and not feel guilty. No, it’s not a joke! There is one catch. Mojitos are healthy as long as you make them properly. Its nutritional values are beneficial for health, especially during the hot and dry summer season. And you’re right; we aren’t talking about adding alcohol to your healthy mojito. A classic mojito is made from the mixture of rum, fresh lemon juice, and mint leaves. This version doesn’t include the alcohol, but since it’s still served cold with crushed ice, making it a perfect summer drink. In this mojito, we added a twist. Instead of the rum, we used rose syrup. Rose syrup is easy to get and versatile in use. It is used as a base for so many drinks! It not only adds a lovely aroma but also adds a subtle floral flavor to your drink. 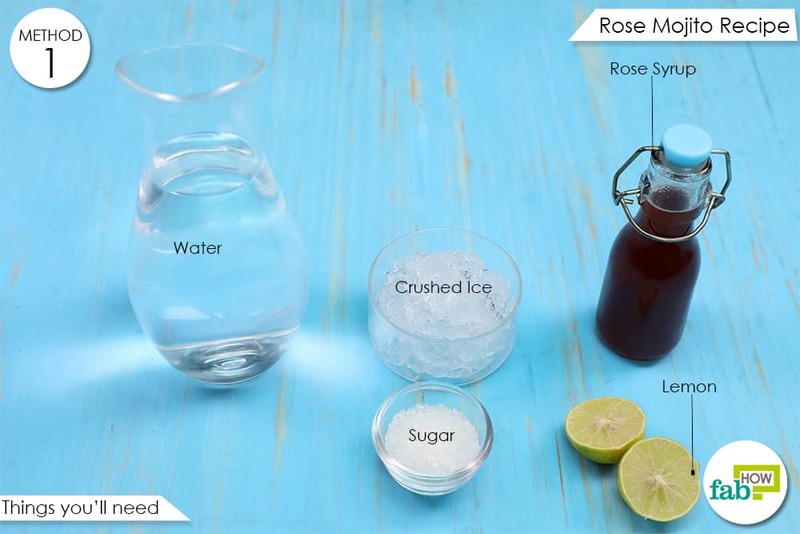 You can adjust the ingredients to make this rose mojito recipe exactly how you like it. 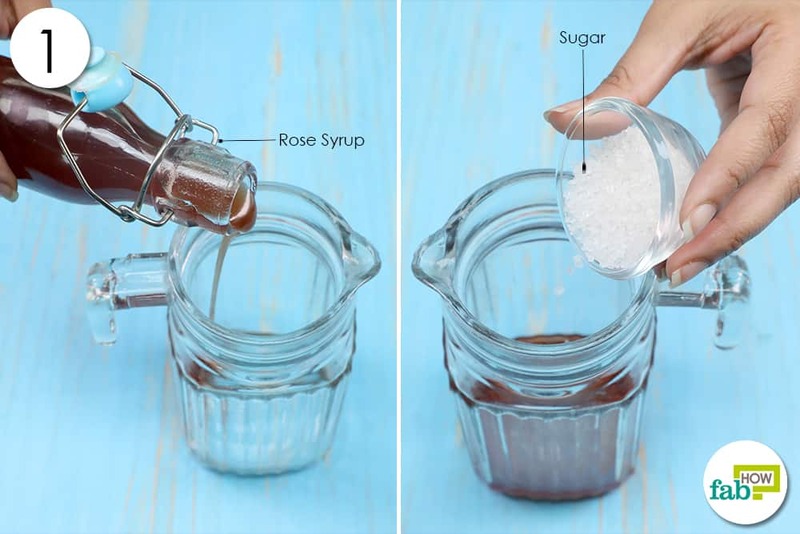 You can adjust the quantity of rose syrup depending on your fondness for the sweet flavor. You can also forego adding sugar to this mojito if you find the rose syrup is a sufficient sweetener. Similarly, in the case of lemon juice, you can increase or decrease the quantity as per your preference for its zesty flavor. Lemon juice has the nourishing vitamin C, which is an excellent immunity booster. Garnishing your mojito with mint leaves will further increase its nutritional value. Mint is an excellent source of antioxidants, which not only prevent cancer by fighting free radicals but also are beneficial for conditions like Alzheimer’s and dementia. Mint leaves are also rich in calcium, which is extremely beneficial, especially for women. 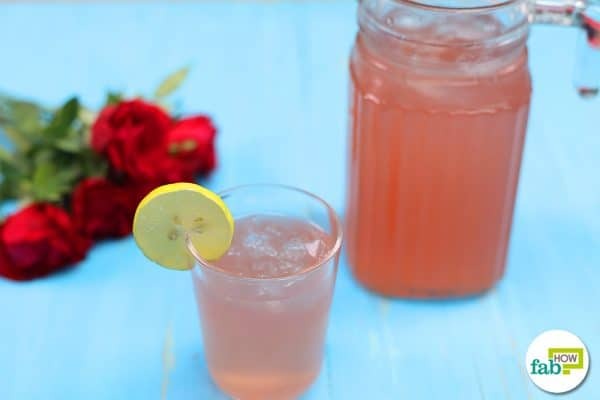 The combination of rose syrup, mint and lemon juice gives you healthy digestion. Pour 3 tablespoons of rose syrup into a jar. Add 2 teaspoons of sugar to it. You can easily make rose syrup at home from rose petals. All you need to do is infuse the crushed rose petals in a solution of water and sugar over medium heat. Simmer till you get a syrup-like consistency. Strain the mix and your rose syrup is ready to use. Squeeze the juice from 1 lemon into the jar. Add 2 cups of water to the mix. 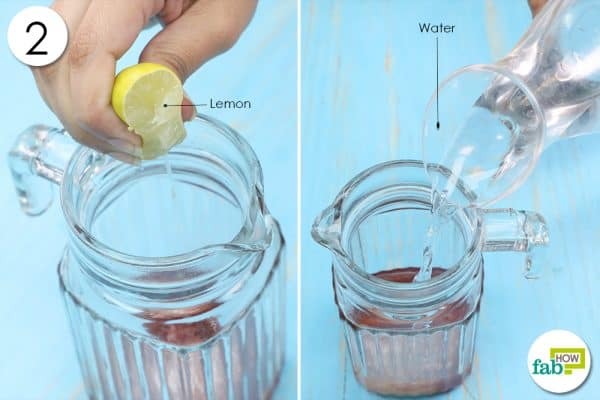 If you are squeezing the lemon juice into the jar, roll the lemon first. This will get the juices flowing. 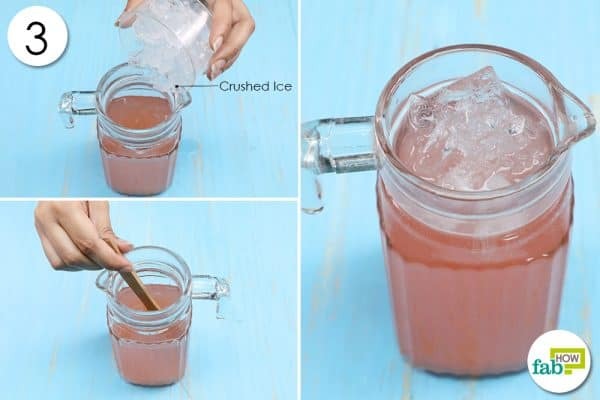 Add 1 cup of crushed ice to the jar. Pour the mojito into a glass. Add a lemon slice to the edge of the glass. You can also sprinkle crushed mint leaves on the top of the mojito. After you’ve combined all the ingredients including crushed ice, use a long-handled spoon to stir the drink once more. Pump the spoon up and down and also around, creating a three-dimensional stirring motion like a mini tornado in your jar. Be careful to not to spill the drink or break the jar. A glass of rose syrup mojito will help you beat the heat and the stress as well. Sip this mojito whenever you need something with an anti-stress effect. It will help you stay calm and cool. The rose mojito recipe is a perfect blend of soothing rose syrup and tangy lemon with crunchy crushed ice. The combination of rose syrup and fresh lemon juice adds immense nutritional value to this mojito. Rose syrup is created by blending rose petals with sugar. The fragrance and flavor of rose are replicated in the syrup. And you don’t need to worry about its sweetness! The sweet rose syrup in this mojito is balanced out by the zesty lemon flavor. Rose syrup acts as a mood enhancer, relieving depression and stress. So when you are frazzled, just reach for a glass of this refreshing drink to calm your nerves. 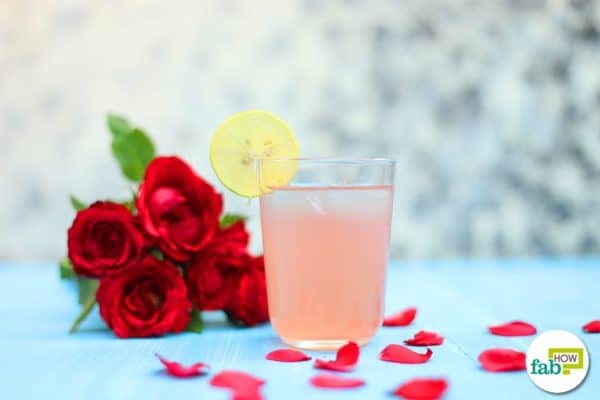 We are sure you know how important it is that your skin stays hydrated in the summer, and this marvelous rose mojito hydrates your skin from the inside out so that your skin looks and feels plump and healthy. Many like to get a tan during the summer. 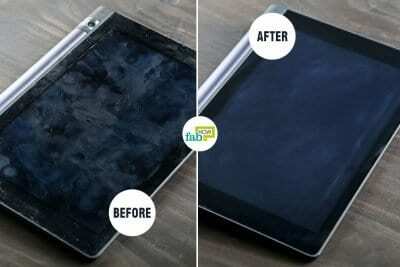 But you also need to protect your skin from the harmful ultraviolet (UV) sun rays. A glass of this mojito provides your skin protection from inside your body by producing collagen to make sure your skin is firm. There is no better combination than rose syrup and fresh lemon juice to fight bad breath. Fresh lemon juice contains excellent antibacterial agents that kill the bacteria causing odor in your breath. The bottle of rose syrup can be stored in a cool, dry place as long as the seal is not broken. Once the seal is broken, the syrup needs to be refrigerated to extend its shelf life. The high amount of sugar in rose syrup acts as a preservative and ensures that it has a long shelf life. The flavor of the rose remains intact as long as the bottle is sealed. Due to its high sugar content, this rose syrup mojito should be avoided by those who have diabetes. Always use crushed ice in these kinds of beverages. The extra surface area of crushed ice means a colder drink, and it also enhances the strong flavor. Avoid using a pre-made mojito mix out of a bottle. Do not overdo the lemon or mint, if you are adding them to your mojito. Also, avoid adding mint to your drink if you have a sensitive stomach. Mint contains some compounds that could lead to heartburn. You can create your own perfect mix for the mojito with a lot of different flavors. You can add cucumbers, strawberries or watermelon and put your own spin on the classic version. Always use fresh ingredients for making mojitos, especially lemon juice. Don’t use bottled lemon juice. You could add a quirky factor to your backyard bash by including one of these healthy drinks to the bar: Aloe vera iced tea, aloe vera lemonade, watermelon slush or cherry ice cream floats. If you plan to include mojitos in your parties, we have some brilliant hacks that will help you get them ready in no time. Because we don’t want you to spend the entire party behind the bar! You can wash and dry your garnishes like mint or fruit ahead of time. Store them in a container covered with plastic wrap in the fridge. This way you can take them straight to the bar. Lemons always take time. So cut them or squeeze the juice out ahead of time and store it in a bowl in the freezer. You can also mix all the ingredients and store them in a pitcher in the fridge. Your guests can serve themselves by pouring ice, topping with soda and garnishing.